From full-text article databases to digitized collections of primary source materials, newly emerging electronic resources have radically impacted how research in the humanities is conducted and discovered. 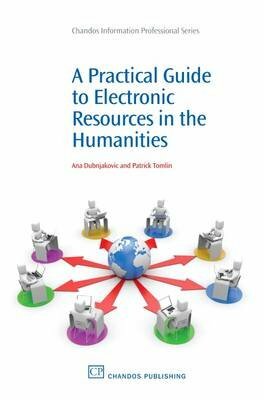 This book, covering high-quality, up-to-date electronic resources for the humanities, is an easy-to-use annotated guide for the librarian, student, and scholar alike. It covers online databases, indexes, archives, and many other critical tools in key humanities disciplines including philosophy, religion, languages and literature, and performing and visual arts. Succinct overviews of key emerging trends in electronic resources accompany each chapter.